We're looking for new netball players for the 2018/19 season! New coaches at Milton Netball! 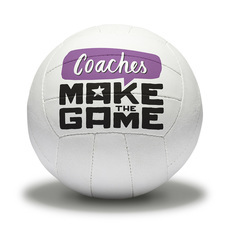 We are pleased to announce that three members of milton Netball have passed their UKCC level 1 coaching course. Congratulations to Rachel, Diane and Jacqui! We would also like to thank the Lion and Lamb pub, Milton for sponsoring us for one persons fees. Whether you're new to netball or want to get back in to we welcome anyone to come along and see what the club is all about. Why not come along with a group of friends? Milton netball club will be hosting their second Netball Tournament at the Milton Fayre. Please come along and watch and support all the clubs involved. If you feel like trying netball again, then why not come to one of our back to netball play days, we would love to see you there! Milton Netball entered a Charity football tournament, and WON! not conceding a single goal and scoring 27. Milton netball also raised over £125 as a club, well done to all involved. Milton Summer Fayre Netball tournament was a brilliant success! The club raised some much needed funds and gave some to our charity of the season; Arthur Rank Hospice. Everyone had great fun and the lovely Burwell ladies won the tournament! Many thanks to all who came and joined in. Check out a few snaps below of the day. The club has now raised over £600 for Arthur Rank Hospice, Cambridge. It's for a great cause and we try to get involved in our local community! Back to netball or just trying something new! Why not come along on the 15th and 22nd and give it a go, both sessions are completely free! You'll burn some calories and meet some great people! We have entered two teams in to the netball weekend in Great Yarmouth. This gives us an opportunity to play other teams outside of the CDNL and also have a good social session!